Amazon Affiliate Program can generate significant revenue. But it’s not always as easy as posting a link and earning money. Here are 5 of the best kept secrets to increase your Amazon Affiliate earnings. Of course, there is more than just the traffic factor, but it is an important one. After all, if you don’t have the traffic levels you are not going to make money. Amazon pays between 4% and 8.5% with the average payout being 6%, so you can see that having adequate traffic is important. Consider how you are going to bring this targeted traffic to your site and get them to click through on your Amazon link. It is a good idea not to put all your affiliate efforts into one product. After all, Amazon offers you an endless array of products to choose from. Instead, consider what group of products could be used with your current niche and promote a diversity of products. However, don’t spam your blog posts with too many links. Many recommend 6-10 links. Never try to trick your readers to click links they have the potential of paying you a commission. Obviously, you can’t label all your affiliate links as such, but you should make some attempt to be transparent. For example, at the end of the blog you could post a disclaimer that your links are associated with the Amazon Affiliate Program (or any other affiliate for that matter). It is all about honesty and your readers want to know that you are being honest and transparent. How that looks on your blog is up to you, but remember just how important it is. Don’t be afraid to combine different affiliate programs that will work in your niche. Of course, focusing on your Amazon Affiliate is important but that does not mean you can’t include other affiliates that fit nicely. What you do need to do is read the rules of each of your affiliates. Some do not allow combining so know what the rules are. Amazon Affiliate Program offers tracking through their statistics software. This is a very important tool to help you know what is selling and what is not. There are other tracking programs. Google Analytics is a popular choice and it’s free. Using this type of software will help you be more successful as you’ll stop wasting your time on what doesn’t work. 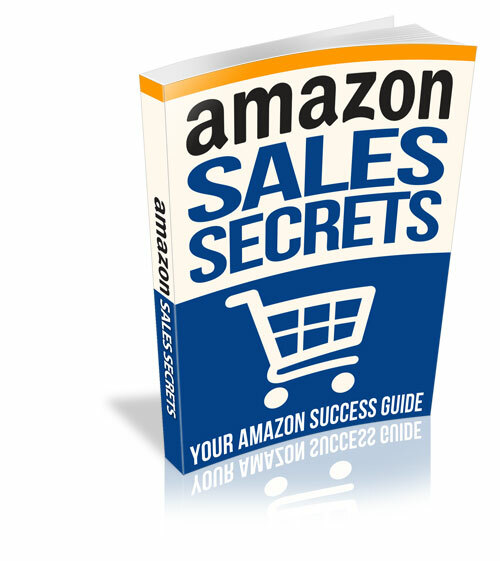 There you have it – the five best kept secrets to increasing your Amazon Affiliate earnings.